Volume 1 includes 20 video scenarios on the topics of bullying, being successful in school, making and keeping friends and drama. Guidance counselors, teachers, social workers, administrators, parents, mentors, etc. 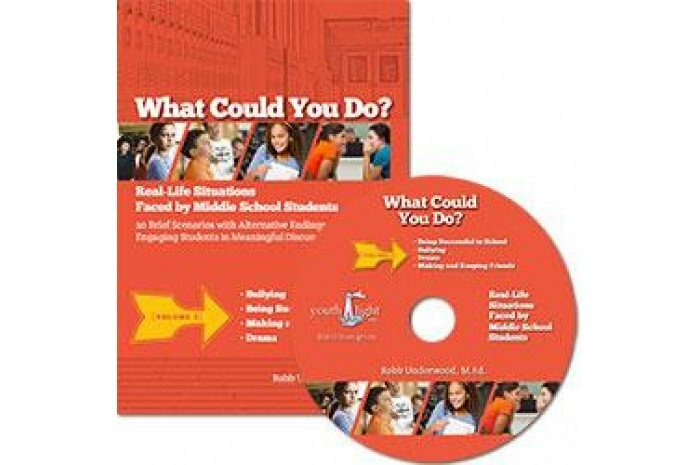 can utilize this DVD as a powerful tool for engaging middle school students in discussions about real-life issues they face. The scenarios are realistically acted out by middle school students. It includes 5 video scenarios for each of the four topics. At the decisive moment in each story, a question will appear prompting students to discuss what they could do to resolve the situation. Once the discussion is complete, the next part of the video will show likely results from different decisions enabling viewers to learn from the possible outcomes. After the conclusion of each scenario, a follow-up question will appear, enabling further discussion into the selected topic.